As noted in the publication On Montauk, the first European settlers in East Hampton were a group of English men and women who came here from Massachusetts. They purchased land from the Montauk Indians in 1648, which extended from Southampton’s eastern boundary to Napeague Beach. It wasn’t until 1665 that Wyandanch, the grand sachem of the Montauk tribe, gave the settlers the right to pasture their livestock on Montauk. In 1686 the Montauk Indians sold Montauk to a group of East Hampton settlers, known as the proprietors, who owned the land in joint trust for almost 200 years. So began Montauk’s history as a summer pasture for cattle, sheep and horses. Three houses were built in the mid 1700’s to house the keepers who guarded the herds. Except for the lighthouse [built in 1797], they were the only buildings on Montauk until the late 19th century. Tourism began when the heirs of the early proprietors sold Mon­tauk for $151,000 to Arthur Benson who brought out his influential friends and built a few houses at the point. They called themselves the Montauk Association. These houses now enjoy historic landmark designation. 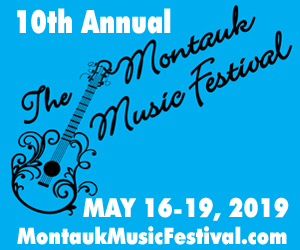 Carl Fisher, who purchased Montauk from the heirs of Arthur Benson in 1926, fell in love with Montauk in the 1920’s built the Montauk Manor, the office building in town, the golf course, the yacht Club, Tudor style homes and even a Tudor village for the workmen in anticipation of a summer playground for the elite. 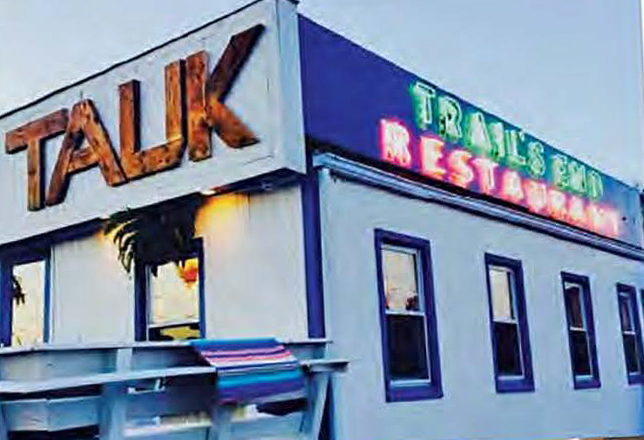 During this time in Montauk’s history, the Trails End eatery opened in 1927 and was originally on the bay near the old fishing village. [At one point it was won in a card game.] Much of the old village was destroyed by the hurricane of 1938; the building survived but was moved to its present spot. For years the Trails End Restaurant has been known for family-style American comfort food in a friendly atmosphere with reasonable prices. Now the oldest restaurant in Mo ntauk has now been sold, and as this new chap-ter in the restaurant’s history begins the new owners are incorporating updated styles of both décor and fare while keeping some of the charm and history alive. 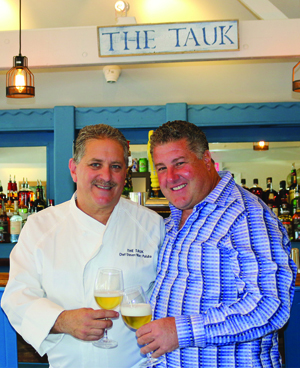 Michael Nasti and Steven Paluba have teamed up on their venture of creating a new ‘TAUK’ of the town. They’re offering simple elegant food with indigenous product and sustainable local fish. Michael Nasti and his wife Colleen have been enjoying Montauk since the early 90’s when they would summer for a few months each season. Eventually that expanded to April through October. Now as their children are older and involved in school and sports, they have transitioned to summer life in Montauk including being part of the Montauk baseball team, swimming for the E. Hampton YMCA, and being a junior Life Guard at Ditch. 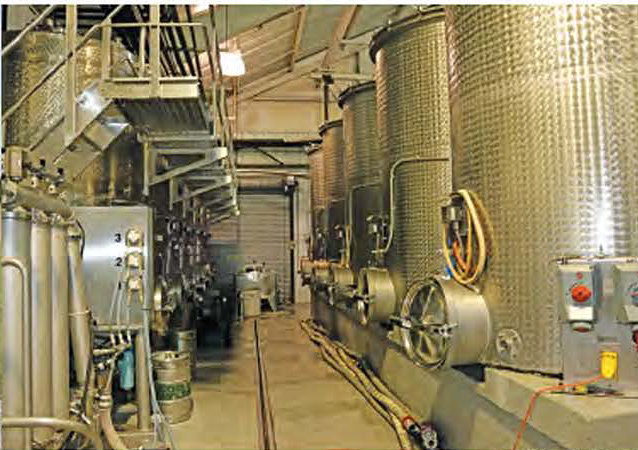 Interstate trucking is Michael’s business and along with his family’s shift to ex-tend their Montauk life, he was looking for investment property here in Montauk. Working with a local Real Estate he came across the Trails End- asked Steven Paluba if he’d be interested in going in with him as Partner/ Executive Chef- Steven and his wife, also a Colleen, agreed- and the rest is history. The two families met six summers ago while enjoying a Montauket sunset; they became friends instantly. The Nasti’s quickly became fans of Steve’s culi-nary skills and frequented Steven and Colleen’s Café at Atlantic Terrace. Even-tually Steven was asked to be their Chef for many events and charters on the family’s boat. So when Michael thought about this new restaurant venture his obvious choice was his friend Steven, with his talent, experience, and potential. Ensuring the best quality, the team has been hands on throughout the entire renovation and set up. Traditions are important to the partners; by keeping the old Trail’s End signs and incorporating the blue and white color scheme in the dining room they have re-created the restaurant, TAUK@ Trails End with a bit of nostalgia. 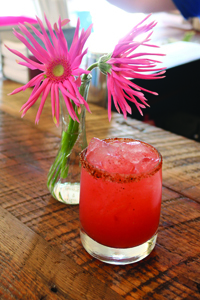 In preserving the 89 year old history of the building, 100 year old reclaimed wood was used for the bar and table tops. They also kept the phone booth closet and the extremely large urinal in the men’s room. Steven has developed a menu with many creative twists on familiar items; Lobster Quesadilla which has the meat of an entire lobster, the steamed Little Necks in Champaign and Mussels Rose, Shrimp and Crab Wontons, and Eggplant disks with fresh Ricotta Salad. He’s also created a glutton free Penne with eggplant, and asparagus Ragu, irresistible Lobster Lin­guini, Chicken a la Mike, Fish Tacos, and of course his infa­mous Lobster Bake. From steak, fish, salads, and pasta to homemade desserts, this menu is sure to please all palates. We were honored to be a part of the Family and Friends open­ing night during which we sampled many items and thoroughly enjoyed them all. I’m anxious to see which of the dishes make the final cut on the menu. 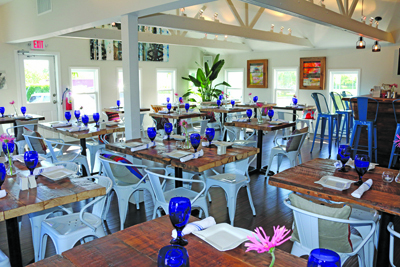 Serving lunch, dinner and eventually brunch, TAUK @ Trails End is sure to find its place among the who’s who of fine dining in Montauk.